It is estimated that over 48 million Americans, especially older adults, suffer from hearing loss. The National Institute on Deafness and Other Communication Disorders states that close to a third of adults aged between 65 and 75 years often have difficulties in hearing. The problem rises to close to a half at the age of 75 and above. Hearing loss has even become a national health concern. Medical studies have linked hearing loss to serious health issues such as a decline in memory, dementia, and depression among others. Given the high prevalence of hearing loss nationwide, there is an ever growing demand for hearing aids, especially among adults and seniors. 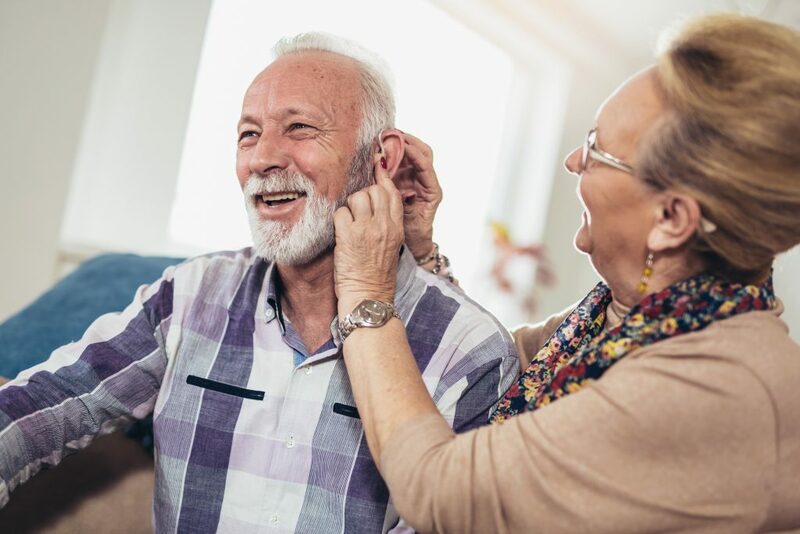 The good news is that you can now find hearing aids with great connectivity options and sophisticated sound quality thanks to advances in technology. However, getting the perfect pair of hearing aids in the already overcrowded market can be overwhelming. There are numerous choices of hearing aids models and brands with a wide range of features. In this hearing aid review and buying guide resource, we look at hearing loss and its causes, the importance of getting hearing tests, and the best hearing aid models on the market today. Our goal is to help you learn more about hearing loss and tests and how to make an informed decision when shopping for the best hearing aids. Hearing loss refers to a total or partial inability to hear sounds or voices. The condition can affect one or both ears. It can either be permanent or temporary. Hearing problems in children can affect the child’s ability to learn spoken languages while in adults it can result in social interaction difficulties both at home and at work. Hearing loss can also result in loneliness and depression among older people. This is a type of hearing loss that results from damage or blockage in the middle or outer section of the ear. The blockage or damage makes it difficult for sound to be transmitted via the ear canal to the eardrum or to be transmitted from the eardrum through the ossicles in the middle ear to the inner ear. Conductive hearing loss can be caused by a variety of factors such as an accumulation of earwax, an injured or punctured eardrum, accumulation of fluids in the middle ear region due to flu or cold, an abnormal growth of bones in the ossicles, allergies, and ear infections. The condition usually affects more children than adults and can be treated by medical interventions that target its exact cause or causes. This type of hearing is caused by damage or malfunction in the cochlear hair cells. It is one of the major causes of permanent hearing loss but fortunately, its effects can be reduced by the use of assistive technologies. This type of hearing loss occurs due to a combination of sensorineural and conductive causes. It can either be permanent or temporary depending on the cause of the condition. Auditory Neuropathy is caused by a problem in the auditory nerve that transmits signals from the cochlea in the ear to the brain. The loss in hearing due to Auditory Neuropathy varies in severity and often results in fluctuating levels of hearing. The condition can be caused by a number of factors including jaundice or lack of enough oxygen during childbirth and other neurological conditions. There are many causes of hearing loss ranging from medical disorders and conditions to physical trauma, injuries, and infections. As a result of illnesses such as German Measles (Rubella), Mumps, meningitis, and many more. As a result of exposure to medications or chemicals that damage specific regions in the ears. It is also worth pointing out that the majority of hearing losses are sensorineural and are irreversible. There are, fortunately, rehabilitation options to help you overcome hearing loss problems. In a few cases, conductive hearing loss problems can be corrected through surgical methods. Noise can be generally defined as unwanted sounds in your environment. Noise interferes with your overall well-being in many ways. It can interfere with communication and socialization with other people, prevent you from enjoying the peaceful natural atmosphere around you, and adversely affect your hearing. Extremely loud sounds make your ears ring uncomfortably and can even affect your balance. Constant exposure to loud noise in workplaces or homes is one of the most common causes of hearing loss among adults and seniors. When is Noise Too Much? How do you classify noise as too much or too loud? Well, this depends on how loud the noise is and the length of time you are exposed to the sound. The sound is measured in units called decibels and becomes dangerous or harmful when it reaches and exceeds 80 decibels. The effect of loud noise also depends on how long you are exposed to the sound. Long exposure to high noise levels of over 140 decibels is dangerous no matter how long or short the exposure period is. Hearing loss caused by exposure to loud noise can happen at home, workplace etc. However, a majority of noise-induced hearing losses happen at the workplace. Let’s take a quick look at each type of noise and how you can help to prevent or avoid it. Noise-induced hearing loss is quite common in the transport, mining, construction, agriculture, and the defense industries due to constant exposure to loud sounds over a long period of time. People working in the entertainment industry such as musicians and actors are also at the risk of exposure to high levels of noise in the production process. It is therefore important to adhere to occupational health and safety regulations that govern noise emission levels to protect employees from high noise levels of more than 85 decibels over an 8-hour period. If you cannot reduce noise levels in the workplace, then ensure that you have a hearing protection program for your employees. Always wear earbuds or any other form of noise protection when working in noisy environments. There are many domestic appliances that can produce high noise levels. They include garden tools such as chainsaws, mowers, leaf blowers, and shredders; indoor appliances such as vacuum cleaners and low-quality food processors or blenders; workshop tools such as grinders, hammers, and power saws. Home renovation activities can also be a source of harmfully loud noises. To avoid exposure to loud noises at home, we recommend that you only invest in appliances that run smooth and quiet. Check the noise level rating in every appliance you buy and avoid the extremely loud and noisy ones. Wear hearing protection when using loud appliances and tools. Play and leisure activities that involve vehicles, guns, and loud music are some of the most common causes of hearing loss today. For instance, a high caliber firearm can produce as much as 170 decibels of sound. At such high noise levels, ear muffs can only provide partial protection. Cars and motorbikes with modified mufflers or exhaust systems are also known to cause hearing loss. Hearing damage can also be caused by loud venue music, car radios, and personal listening devices such as headphones tuned to dangerous volume levels. To prevent hearing loss in recreational activities, make sure to control sound levels in activities that involve music, avoid firearm sound exposure using the best earplugs and earmuffs, maintain your bike or vehicle’s engine and exhaust systems, and use personal listening devices such as earphones and headphones within safe sound levels. Make a habit of wearing hearing protection whenever you are in a place with high noise activity. Your doctor may ask you to get a hearing test at one time or another. If this happens, don’t be alarmed. Taking a hearing test doesn’t necessarily mean that there’s something wrong but is a way of ensuring that your hearing is perfect. Hearing tests are non-invasive, painless procedures that measure your hearing ability in a controlled setting. The process takes 30 minutes or less. Most hearing tests are done in quiet soundproof booths designed to keep out noise from the outside such as air conditioners, heaters, and other office noises that can affect your examination scores. You’ll be asked to wear soft earplugs or headphones with wires connected to an audiometer, which is the instrument used to conduct the test. The hearing test is also used to determine your most comfortable listening level and your highest limit for safe comfortable listening. The practitioner can also use an instrument called tympanometry to check your acoustic reflexes. The test determines how your eardrum moves and measures the reflexive responses in the internal ear muscles. As one ages, he or she becomes a likely candidate for hearing loss problems. Studies show that close to 14% of people between the age of 45 and 64 years have hearing loss problems. The percentage rises to 30% in those aged 65 or older. This prevalence of hearing loss among adults and seniors is one the reasons why your doctor may ask you to get a hearing test every few years just to know that everything is okay with your hearing. Experts usually recommend getting a hearing test every ten years until you are 50 years old and then have one done after every 3 years after your 50th birthday. Besides the doctor’s recommendation, you may also need to get a hearing test if you experience symptoms of hearing loss. For example, if you keep asking people to repeat themselves when talking to you or raising the TV volume too high to catch what the newscaster is saying, then you definitely need a hearing test. The purpose of getting a hearing test is not only to check if you have a hearing loss problem but to determine how mild or severe the problem is as well. The test will also help to determine what type of hearing loss you suffer from and how best to treat the condition. Pure tone testing, also called pure tone audiometry, which uses air conduction to determine your ability to hear sounds at varying volumes and pitches. Bone conduction testing which measures how your inner ear responds to sound. In this test, a conductor placed behind the ear sends tiny vibrations to the inner ear through the bone. Tympanometry which measures your eardrum movement in response to air pressure. This test helps to check if there is a buildup or accumulation of fluid, wax, or to determine the presence of eardrum tumors and punctures. Speech testing which is used to determine the faintest speech you can hear and understand 50% of the time by measuring your speech reception threshold (SRT). The test is conducted on both noisy and quiet environments to determine your ability to differentiate speech from background noise. Acoustic reflex tests which measure involuntary muscle contractions in the middle ear. The test helps to identify the type and location of your hearing problems such as in the ossicles, auditory nerve, or cochlea. Otoacoustic emissions (OAEs) tests. OAEs are sounds that are created by hair cells vibrations in the inner ear’s cochlea. The test uses a tiny probe with a speaker and microphone to stimulate the cochlea and gauge its response. Auditory brainstem response (ABR) which is used to identify the presence of a sensorineural hearing loss problem. This type of test is used in screening newborns for hearing loss issues after birth. The audiologist can order any combination of these tests to determine the best course of treatment for your hearing loss problem. A hearing test shows whether or not you have a hearing problem and if the problem is in one or both ears. It also measures how much hearing ability you’ve lost. It is not a pass/fail test but a measure of your hearing ability. Sound is measured in decibels. A whisper is usually in the range of 30 decibels while normal speech is around 60 decibels. 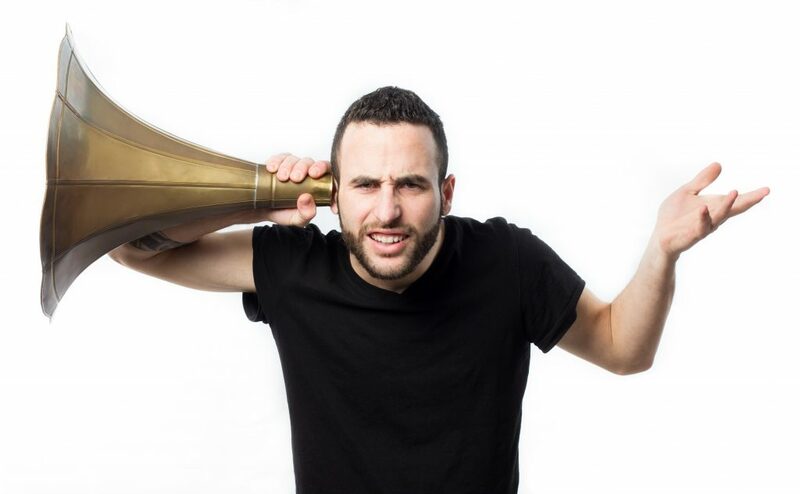 A loud shout in your ear is around 88 decibels and above. The results of your hearing test can, therefore, show mild, moderate, moderate-to-severe, severe, or profound depending on the level of hearing loss. Your doctor or Ear Nose Throat (ENT) specialist will then use the test results to determine the best hearing aids for you. The inner ear is quite delicate. If the hair cells in the inner part of the ear are dead, they can never be restored. Fortunately, you can improve your hearing ability using hearing aids to amplify sounds and make them easier to hear and understand. Hearing aids have a microphone to pick out sounds, an amplifier to make the sounds collected by the microphone louder, and a receiver that transmits the amplified sounds to the ear canal. Modern digital hearing aids have a computer chip which adjusts the volume and amplification of the sounds to be easier to hear and understand. Analog hearing aids of yesteryears are still popular because they are easy to use. Digital hearing aids are more efficient because they can be programmed to filter out background noise and can be fine-tuned to suit your hearing-loss pattern. The latest models can even be synced wirelessly with your smartphone and allow you to receive calls, stream audio files, and even adjust the hearing aid’s settings using an app on your smartphone. Prior to the passing of a 2017 legislation that allowed consumers to purchase hearing aids over the counter (OTC), you could only buy these essential aids with a doctor’s prescription at specific outlets. In August 2017, President Donald Trump signed the Food and Drug Administration Reauthorization Act of 2017 into law. The legislation also included the Over the Counter Hearing Aid Act which allows more public accessibility and affordability for hearing aid products sold over the counter. The Act is meant to help adults with mild-moderate hearing loss problems have access to OTC hearing aid products without necessarily having to first consult a hearing care professional. The new law has not only made hearing aids accessible to consumers but also made the gadgets much more affordable too. It is a move highly welcomed by consumers who have in the past had to deal with exorbitantly priced hearing aid products that could only be purchased with a doctor’s prescription. This is a great time for those looking for new hearing aids. Besides the legislation that allows you to buy the hearing aids over the counter, technology has made it possible to get hearing aid products with perfect sound quality and seamless, wireless connectivity to your smartphone or tablet. However, there are several factors you need to consider when looking for the perfect pair of hearing aids. For instance, you’ll need to consider your type and severity of hearing loss, your level of manual dexterity, and your general lifestyle among other things. Let’s take a more detailed at some of the key things you have to consider when shopping for a new pair of hearing aids. One of the key factors to consider in your choice of hearing aids is your hearing ability. It is important to first take a hearing test from a certified audiologist or specialist to determine the right type of hearing aid that you should use. The hearing examiner will provide you with information about your hearing ability. It measures the type, degree, and configuration of your hearing loss to determine the best treatment option for your case. The type and degree of your hearing loss will dictate the type of hearing aids you’ll buy. Are You a Seasoned or First-Time Wearer of Hearing Aids? There are many types of hearing aids designed for the first time or more experienced users. There are hearing gadgets with special features and functions for seasoned users and others specifically designed to meet the needs of first-time users. Check if the gadget is meant for long-time or first-time users before you make a purchase decision. In an age where everything seems to be linked to your smartphone, connectivity is another important feature to consider in hearing aids. With smartphone connectivity, you can connect the hearing aids wirelessly to your Android or iPhone and enjoy the benefits of streaming audio from your smartphone calls, listen to multimedia audio, and generally experience the ease and convenience of communicating with friends, family, and colleagues despite your limited hearing ability. Hearing aids are generally designed to fit seamlessly into your lifestyle without appearing to be an impediment or obstacle to your everyday activities. It is therefore important to consider how you spend your days and seasons throughout the year when buying hearing aids. Ask yourself a few questions such as where you spend most of the time during the day – indoors or outdoors? Does your work involve a lot of traveling? Do you spend a lot of time in a day streaming calls via your hearing aids? If you have poor dexterity, then go for a pair of rechargeable hearing aids preferably one with long battery life. If you spend a lot of time outdoors than find a good pair that is both dustproof and water-resistant. It should be a good model with an IP rating of 68, which means they are not only dust proof but can also be submerged in water for a depth of more than 3 feet. Waterproof hearing aids can withstand damage from rain and sweat. Most hearing aids models have a strong durable design but will require regular maintenance to continue functioning properly. Find a model that can be serviced by a technician of your choice rather than be locked into one brand-specific maintenance option. There are brands that come with locked software and can only be serviced by specific companies. For example, brands such as Miracle-Ear, Nu-Ear, Audibel, Costco, and Avada are brand specific in maintenance and cannot be serviced by other providers. Hearing aids are cool tiny computers for your ears that allow you to communicate with others easily and boost your overall well-being and confidence both at home and workplace. The right choice of hearing aids depends on your lifestyle, hearing ability, budget, and personal preferences. To help you make an informed decision in an overcrowded hearing aids market, we went out to test different types of hearing aids and came up with a list of the best 20 products. So without much ado, here is a review of the best hearing aids brands on the market today. Made by experts in the hearing aids industry, Nano hearing aids come with cutting-edge technology to improve the lives of anyone with a hearing loss problem. Nano hearing aids are quite small, almost invisible, and feature the latest digital technology in the hearing aids industry. When you order a pair of Nano hearing aids, you get different sizes of earbuds to give you a perfect snug fit. They are quite small. Nobody will know you are wearing hearing aids. They also won’t get in the way of your daily activities such as using your phone or wearing glasses. The Nano hearing devices are best suited for just about everybody who needs a pair of high-quality yet reasonably priced hearing aids. They are very effective for anyone with mild, moderate, and severe hearing loss. You can also get a free online hearing test from their site. Extremely compact and can fit perfectly behind the ear to allow glasses on top without a problem. Sold directly to the consumers by the manufacturer as OTC products. This direct no-middleman access makes the hearing aids available to consumers at low prices. They come with a 100% satisfaction guarantee and a 100% money back guarantee from the manufacturer. You get free shipping and easy returns for all Nano hearing aids products. Nano devices are currently being sold with an attractive Buy One Get One Free offer. Get yourself an extra pair for the price of one while the offer lasts. With the average price of hearing aids in the US ranging from $1,000 to $3,000 and above, it is difficult to find a company like Nano that provides high-quality digital hearing aids at a cheap price without compromising quality. 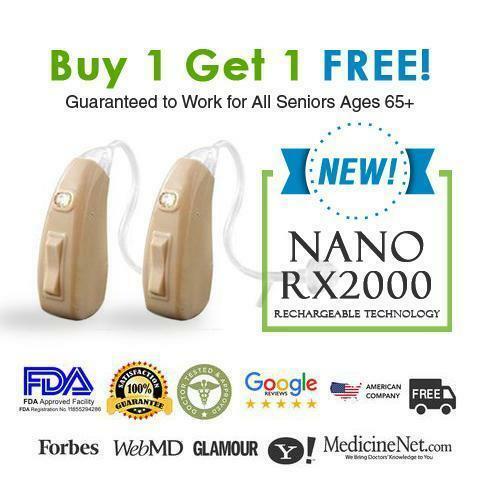 Nano’s newest product that they offer is an amazing hearing aid. RX2000 is rechargeable making is extremely convenient and easy to use. The cost is only $397/pair with a money back guarantee. Coming second to Nano hearing devices is the Clearly Hearing brand. One of their most attractive features is the 50-day money back guarantee for all products. The company has a wide range of hearing aids products with affordable price tags and advanced technology. Their products are programmed and supported by a professional team of hearing experts. They provide free shipping to customers in the US. Clearly Hearing also sells hearing aids batteries and other accessories. Clearly Hearing products are best suited for customers looking for affordable analog and digital hearing aids. They are suitable for people with mild to severe degrees of hearing loss. They have great prices and great quality too. The company provides a 100% money back guarantee for all their hearing aids products. Some customers have complained of the company’s shipping within the US taking a long time. There are also claims of poor customer support response to queries about delayed orders. Clearly Hearing is a company owned and run by hearing professionals who understand the ins and outs of the hearing aids industry. Their products are available at a good price and promise great sound quality and performance. However, their customer service, which is available via email, telephone, and Live Chat has been cited by some customers as not very responsive to customer queries. This is a Canadian company that takes pride in bringing together hearing professionals with the most advanced hearing technology to provide customers with innovative hearing aids solutions. Their philosophy revolves around the belief that sound connects people to the world. Connect Hearing specializes in high-quality hearing aids and devices. Their small and sleek digital hearing aids products come with a built-in microchip and are programmed to suit your individual hearing needs. Connect Hearing products are designed for both first-time and advanced users of hearing aids products. When you use their hearing aids for the first-time expect to be overwhelmed by emotions when you hear sounds you never thought you’d hear again. It is a great experience. Connect hearing aids can be used by people with mild to severe hearing loss. Allow you to watch TV with friends and family without raising the volume too high. The company doesn’t sell its own products but mainly deals in Phonak products. Compared to other brands such as Nano Hearing Aids, their prices are slightly higher for hearing aids products with similar features and functions. It’s also hard to get their products over the counter like you would with Nano products. For truly high-quality sound and performance, check the Nano SX5000 currently being sold with a buy one get one free offer. With their latest model, Phonak Marvel, Phonak seems to have pushed the boundaries of hearing technology to new heights. The company has a tradition of creating hearing aids solutions that deliver excellent sound quality and ease of use. In the Marvel model, Phonak continues this tradition and takes things a step further using the latest technology and digital connectivity. Phonak Marvel not only delivers clear rich sounds but also connects to smartphones and TV, is rechargeable, and comes with smart apps too. Phonak has a wide range of hearing aids suited for all types of hearing loss solutions. You’ll find a good pair of Phonak hearing aids whether you have mild or severe hearing loss. Phonak is a perfect choice for anyone seeking for high-end hearing aids with clear rich sounds, smartphone and TV connectivity, smart apps, and rechargeable technology. Allows hands-free calling with just a single touch. You can also telephone calls using the hearing aids as your wireless headset. You can connect the hearing aids wirelessly to your TV and enjoy your favorite shows in stereo quality sound. Phonak prices are a bit on the high side compared to other models such as the Nano SX2000 model. Phonak specializes in creating hearing aids that simplify your life with exceptional hearing experience every time everywhere. 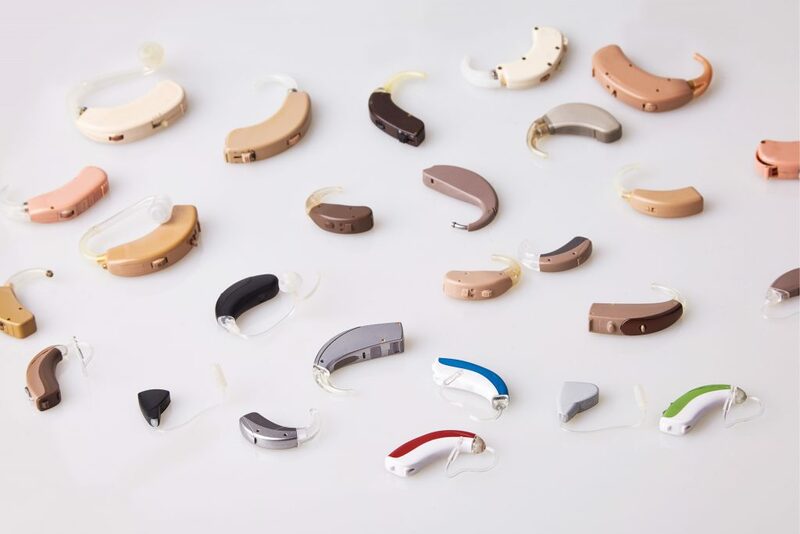 Audicus claims to manufacture the only hearing aids you’ll ever need because their products are tailor-made to match the hearing needs of every customer. Their flagship hearing aids [product is the Audicus Clara which uses smart technology to adapt to your environment and give you excellent hearing wherever you are. The hearing aids have a beautiful discreet design. The Audicus Clara is designed for mild to severe hearing loss. It has a small compact elegant design that easily disappears behind your ears away from everyone’s gaze. 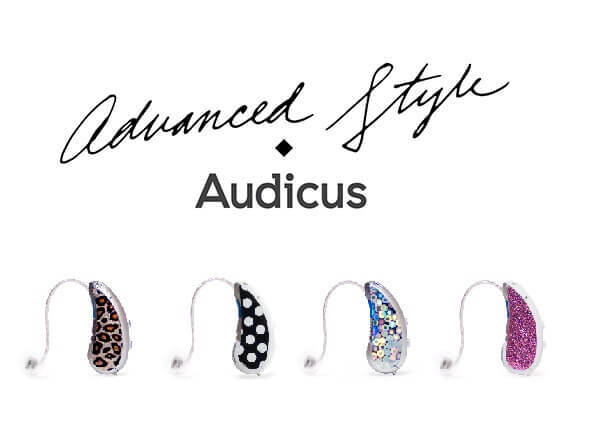 If you want to find out if the Audicus Clara is for you, the company recommends getting a 15-minute online hearing test by their experts on their website and you’ll be appropriately advised on which model to buy. High tech features such as two directional microphones. The front mic focuses on speech while the back mic cuts out excess noise to give you crystal clear conversations. It has digital signal processing to give you crisp sounds without squealing feedback. It has a higher price than other models with similar features and functions such as the Nano SX5000 which is currently being sold with a buy one get one free offer. There is also an extra charge for Audicus care Subscription of $18 per month or the Audicus Protection Subscription at $19 per ear. 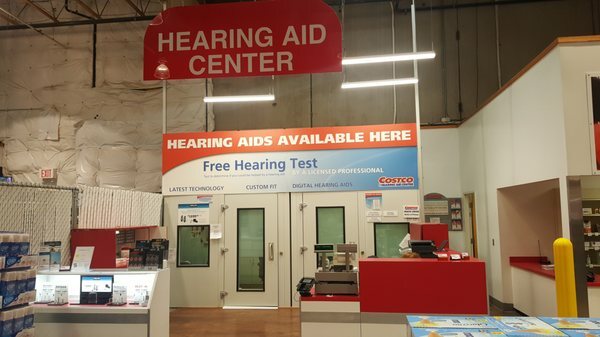 Costco Hearing aid center provides customers with hearing aids products with value pricing, premium technology, and long battery life. They also offer free product demos, free hearing tests, follow up appointments and hearing aids check-ups, cleaning, and servicing. Their products come with free loss and damage coverage and warranty periods that vary by model. Costco Hearing Aids are designed for anyone with mild to severe hearing loss problems. Their prices are however on the higher end with some models such as the Kirkland Signature 8.0 Premium having over $1,500 price tags. However, if you are in the market for high-end hearing aids with all the latest features, then by all means shop at Costco. This is a great place to find high-quality hearing aids products when the price is not your major concern. Costco provides a wide range of accessories for their hearing aids products. One of their popular models is Kirkland Signature 8.0 Premium Digital Hearing Instruments Kit which comes with all the accessories you need to enjoy high-quality crystal clear sounds, wireless connectivity, and long battery life. The only downside is its high price tag. Eargo Max is one of the top online sellers of high-quality hearing aids. Their products come with improved noise reduction and audio fidelity. Eargo Max hearing aids are so comfortable that you’ll hardly feel like you are wearing one. For instance, Flexi Fiber hearing aids are made of super soft and comfortable silicone material. The medical grade silicone feels like a gentle hug to your ears. They are soft, refreshing and gentle to your ears. The technology used in the construction of Eargo Max hearing aids to give you a perfect mix of ambient and amplified sounds. The sleek Eargo Max range of hearing aids is designed to provide users with perfectly amplified sounds and great noise cancelation. The hearing aids are perfect solutions for mild and moderate to severe hearing loss problems. They are currently being sold at a heavily discounted price but we can’t tell how long the discount will last. It comes with 4 sound profiles. You can switch between the profiles simply by tapping on the tiny gadget on your ear. Eargo Max will even remember your choice and use it the next time you wear the hearing aids. 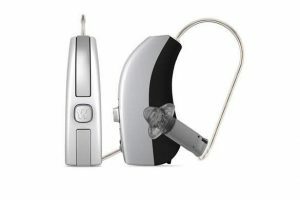 It comes with a 45-day money back guarantee in the event that you are not 100% satisfied with the hearing aids. It is available with flexible payment plans of as low as $100 per month. Higher prices than other models with similar features and functions such as the Nano brand of hearing devices. Requires hearing test from the company to purchase and service the hearing aids. Hearing Direct provides consumers with ready to wear programmable quality hearing aids at affordable prices. Some models from Hearing Direct cost as little as $149. The site has a broad selection of analog and digital hearing devices, batteries, accessories, and other useful products for the visually impaired. 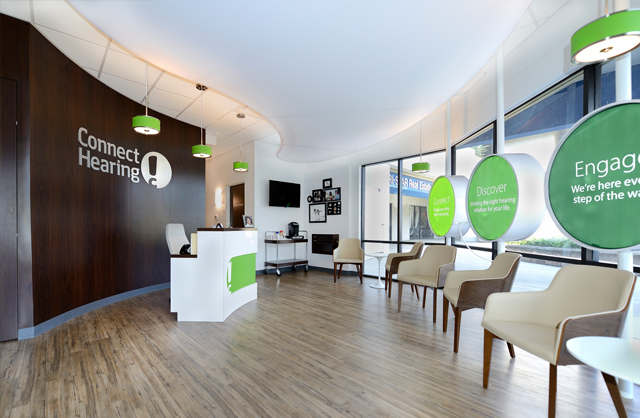 Hearing Direct is one of the leading hearing aids specialists in the world today. Hearing Direct’s hearing aids are designed to benefit people with all types and degrees of hearing impairments, from mild to moderate hearing loss problems. The online store is a good place to shop for affordable hearing aids especially for those with a limited budget as some of their hearing aids products start from as little as $149. They have a wide range of hearing aids models including in the ear models, behind the ear models and invisible hearing aids. 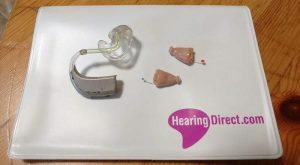 They have a wide range of hearing impairment products and accessories including basic models such as the HD 151 and the HD 250 models for those looking for affordable easy to use options. You don’t need to visit a hearing specialist or get an audiological review to buy their products. You can order for pre-programmed, ready-to-wear hearing aids from their online store and have the package delivered promptly to your home. Miracle-Ear hearing aids are available in a wide range of styles and solutions. The company takes pride in using the latest technology in hearing aid devices to create nearly invisible super powerful hearing aids. Their trained hearing care experts ensure that you get the best technology matched to suit your hearing needs. Their products are designed to give you intelligent sound amplification using multidirectional microphones, digital noise reduction, and speech isolation technology that reduces background noise and distinguishes sounds that you want to hear. Miracle-Ear hearing aids provide you with the clearest sound amplification without the surrounding distractions. Miracle-Ear hearing aid devices are designed for people with mild to severe hearing loss. They are custom molded to fit either in your ear canal or comfortably behind your ear. 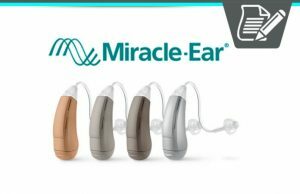 Whether you are looking for a powerful hearing solution or an inconspicuous almost invisible hearing aid device, you’ll definitely get one at Miracle-Ear. However, take note that their prices may not be as low as other models such as Hearing Direct and Nano. You also get a free hearing aid guide from their website that gives you more information about hearing aid technology and solutions on the market today. Cutting-edge direct streaming GeniusTM technology in some of their latest models. Their latest models feature 100% rechargeability and powerful long lasting cells. You need a hearing test from their professionals to determine the best hearing aids for your specific case. Their prices are slightly higher compared to other brands such as Nano hearing devices. Restricted product servicing options. You cannot take the product to your preferred provider for servicing and maintenance tasks. MD Hearing provides customers with medical grade hearing aids at highly discounted prices, sometimes as low as 82.2% less than the original price. They give consumers access to FDA approved hearing aids without a middleman and with 0% financing options, whenever available. Their affordable hearing aids are high-quality products designed by doctors and audiologists. They also give you a 45-day money back guarantee in case you are not 100% satisfied with the product. MD Hearing Aids are designed for people with mild to moderate and severe hearing loss. The hearing aids have been made to match your lifestyle. MDHearingAid was actually founded by an Ear Nose Throat specialist who understood the challenges faced by people with hearing loss problems. If you are looking for hearing aids inspired by your lifestyle and designed to meet your specific needs, then MDHearingAid is a good choice. They also come at a less expensive price compared to other models with similar features. They deliver clean clear audio with precise audio amplification to ensure that you hear what you want and filter out what you don’t want to hear. Easily adjusts to your environment to filter out unwanted noise and deliver crisp high-quality sounds. 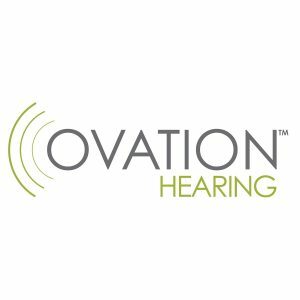 Ovation digital hearing aids are FDA-registered hearing devices that come with a solid 60-day free trial. The hearing aids are designed with the latest digital and hearing technology to make life easier and manageable for people with hearing loss problems. The company recognizes the fact that out of the 36 million Americans suffering from hearing loss, according to statistics by the National Institute on Deafness and Other Communication Disorders (NIDCD), only 1 out of 5 have access to hearing aids. The reasons for this lack of hearing aids range from the cost of the devices and performance to ease of use and other limiting factors. Ovation aims to remove all obstacles that prevent people with hearing problems from using hearing aids by developing affordable and easy to use solutions. Ovation hearing aids are best suited for people with mild to moderate hearing loss. They are designed with cost, performance, and ease of use in mind. All their hearing aids and accessories are FDA-registered and come with a 60-day risk-free trial. The company doesn’t use middlemen to get the products to the customer. This significantly cuts down the cost of the hearing aids. The hearing aids are designed to give you optimal sound quality thanks to the company’s advanced digital technology, multiple program settings, and innovative sound processing programs. You get crystal clear audio just like you need it without feedback, static, and hissing sounds. The hearing aids come in multiple colors and styles to suit your taste. They are designed to provide maximum concealment. They have intuitive easy to use controls. 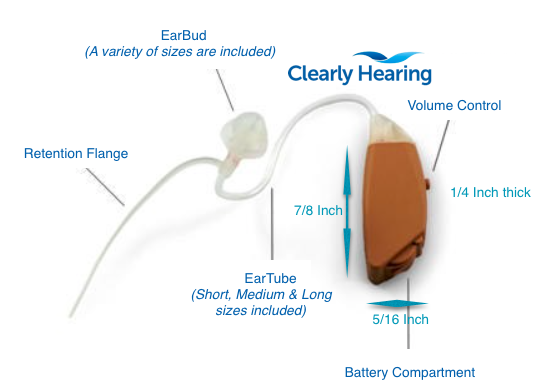 You also get a clear straightforward user’s manual to help you integrate the hearing aid into your lifestyle instantly. You don’t have the freedom to choose your preferred company for service and other maintenance tasks. You are locked to the manufacturer. ListenClear makes the right hearing aids designed to meet your hearing loss needs. The company recognizes the fact hearing loss is a unique experience for every person who suffers from the condition. This is why they have different models to ensure that you get one that works well with your unique situation and circumstances. Their hearing aids are flexible in terms of features and prices. They also come with a 45-day risk-free trial. All ListenClear hearing aids are designed for individuals looking for mild to moderate hearing loss solutions at the right price. The company manufactures both low cost and high-end hearing aid products. 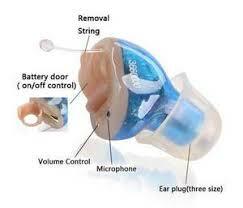 If you are looking for an easy to use, clear HD sound hearing aid, then try ListenClear range of products. They deliver clear HD quality sound thanks to ListenClear Receiver-in-Canal (RIC) technology that blocks out background noise to create a clear audio experience for your listening pleasure. They are easy to use hearing aids. 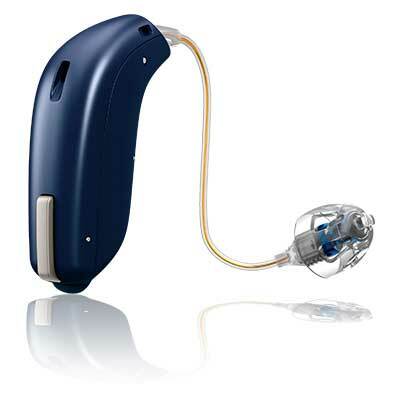 ListenClear designed the hearing aids to be as easy to use as pressing a single button. You don’t need the help of an audiologist to use the hearing aids. They have great comfort thanks to patented Easy-Click technology that gives you a perfect gentle fit for hours. They are so comfortable you won’t even know you are wearing the hearing aids. Great customer care and support from the moment you place your order. Their team of friendly experts will help you on every step of the way to ensure that you derive the best experience from their hearing aids. Most of their hearing aid products are available at the right price. ListenClear hearing aids deliver an equal if not better audio experience than high-end devices on the market today at a fraction of the price you’d pay for hearing aids with similar features. HearClear hearing aids are made of medical grade materials to provide you with comfortable to wear hearing aids. They are high-quality hearing aids models available at a comparatively less expensive price. This is because the company gives its customers access to its products without a middleman in the sales process. 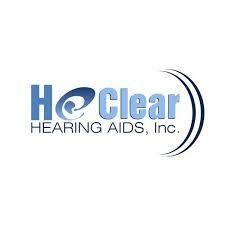 The affordable hearing aids have been designed by HearClear’s team of professional audiologists. HearClear hearing aids are designed for use by individuals suffering from mild to moderate hearing loss. The hearing devices are versatile enough in their overall design to suit different types of lifestyles. If you are looking for an affordable hearing aid product that works well both indoors and outdoors, then you may need to check the HearClear range of products. Great noise canceling. They filter out unwanted loud noises to leave you with exactly what you want to hear. The company has great customer care and service. They respond in a timely manner. They can easily adapt to your environment to filter out the noise and deliver high-quality sounds. Zounds Hearing aims at providing its customers with the best hearing aids and other wireless devices that deliver great service at an affordable price. The company uses a combination of internally developed technology and licensed technology from Acoustic Technologies to create high-performance digital hearing aid products. 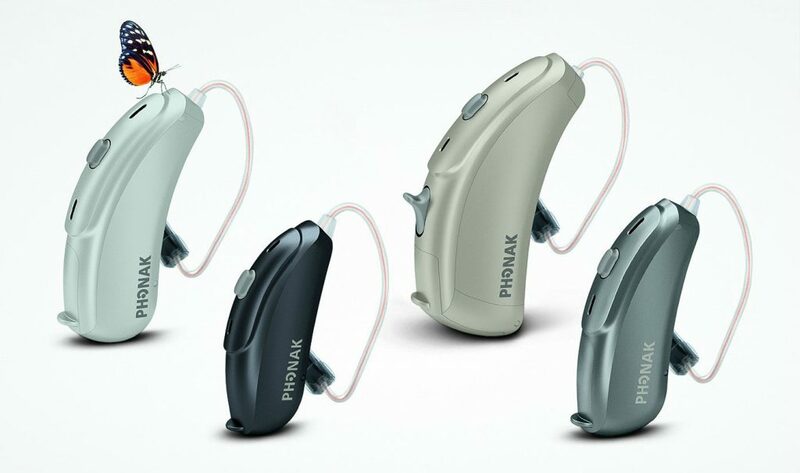 One of their leading hearing aid products is Prezia which comes with 16, 24, and 32 programmable channels, noise canceling and other useful features. Zounds uses the best technology to create cost-effective hearing aids for people with mild, moderate, and moderate to severe hearing loss. Their hearing aids are easy to use and available at an affordable price. Intuitive noise cancelation that uses a matched pair of microphones to reduce ambient noise by 90 percent. CleanSpeak easy adjustment feature that allows you to switch between different modes with just a tap on the back of the hearing aids. Improved wearability and durability. The hearing aid is made of special water-resistant Nano Hydrophobic coating for maximum protection against moisture and sweat. Lifestyle Analytics feature that saves information to be used on your next visit to the Zound’s Hearing Center. You need to get a hearing test at Zound’s Hearing center to use the hearing aid. LumiEar provides hearing aids with a difference in performance, design, and price. All their products come with a 30-day money back guarantee which means you can try their hearing aids risk-free for a month. The hearing aids are perfect for use at home or in busy places such as restaurants. In terms of price, the company has cut out the middleman in the sales process which makes it possible to deliver high-quality hearing devices at an affordable price. Everyone deserves to enjoy crystal clear hearing without having to spend a fortune. If you are looking for a high-quality pair of hearing aids at an affordable price, then LumiEar is one of the best options available today. LumiEar hearing aids are best for people with mild to moderate hearing loss problems. They are a good choice for you if you want a high-quality pair of hearings aids at an affordable cost. The Lumi Min Hearing Aid is a good example of their products with superior hearing capacity and a good price. Comfortable design for use while engaged in outdoor activities and indoor activities such as watching television, having a quiet conversation, or listening to music. They have a maximum sound output of around 130 decibels and a frequency range of between 300Hz and 40000Hz. All domestic orders have a shipping period of 24 to 48 hours after you have placed your order with fast services such as DHL and USPS. EarQ hearing aids are designed to meet your hearing requirements based on your lifestyle, personal preferences, and the type and degree of hearing loss that you suffer from. They are tiny pieces of technology designed to give you a clearer and more natural listening experience in different sound environments. For the best results, the company recommends that you make an appointment with one of their EarQ providers for an evaluation before buying the hearing aids. They have Tinnitus therapy which soothes unwanted ringing, buzzing or whooshing sound in ears or head that goes on for hours. There is no natural cure for persistent tinnitus. The hearing aids come with smartphone compatibility. They can be synced with your smartphone and allow you to listen to music, watch videos, and even stream phone calls straight from your phone. With smartphone compatibility, you can even control volume and other hearing aids settings from your smartphone. Water resistance which is a great help for users with an outdoor lifestyle that exposes them to rain, moisture, and sweat. The water-resistant hearing aids can withstand low moisture levels while maintaining optimal performance. Small nearly invisible design. The hearing aids are designed to comfortably fit inside your ear canal to ensure that you enjoy their benefits and do your daily activities without even feeling them. They are fully rechargeable. It is time you discovered the freedom of using battery-free hearing aids. These hearing devices have tiny charging stations that make the aids convenient and easy to use. The rechargeable design also saves you money you’d have spent on batteries. Hearing aids designs for children. Hearing aids don’t have a one-size-fits-all style which is why EarQ has made smaller hearing aids made specifically for children. EarQ hearing aids come with a 4-year warranty, which is longer than warranties given by a majority of hearing aids brands out there. You need to schedule an evaluation appointment with your local EarQ professional to use the hearing aids. Widex Evoke provides you with one of the most sophisticated hearing aid technologies to help you enjoy the benefits of high-quality sound reception. The Evoke is known as the world’s first smart hearing aid product for a good reason. It comes with interactive smart options that help you to intuitively design your listening style and experience. It puts in you full control of your hearing aids in every type of environment. The revolutionary Widex Evoke hearing aids are best suited for the stylish user who wants to remain in control of his or her hearing devices. The system is perfect for people with mild to moderate and severe hearing loss. If you are looking for smart technology in hearing aids, then this is a good option for you. It uses Widex SoundSense Technology which makes the hearing aids evolve with time. Every time you use the pair of hearing aids, it collects your preferred settings and evolves to adapt to the settings. It is a smart hearing constantly evolving hearing aid. The data collected from your usage is used to improve the listening experience for everyone. The smart hearings aids can map out your environment whether you are indoors or outdoors to block out unwanted sounds and adjust accordingly. It is quite easy to use too. You can customize it with just a few taps. The SoundSense technology has two sound profiles to choose from depending on your personal preferences. It comes with built-in Fluid Sound Controller that gives you the best options for different sound environments. It can adapt to any change in your life or environment to ensure that you continue receiving high-quality sounds. With the Belton Amaze hearing aids, every day of your life is amazing. 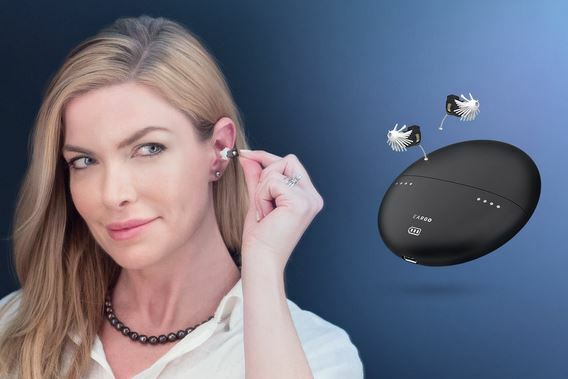 It is the latest hearing aid from Belton that gives you amazing hearing experience and a host of innovative features for your listening pleasure. The Belton Amaze is a complete hearing care solution that delivers clear, full, and richer sound. It is easy to use, fully rechargeable, and wirelessly connects to your smart devices such as your smartphone and TV. As a global brand with a local focus, Belton has over 1500 locations nationwide where you can get great service and customer support. The Belton Amaze hearing aids is a great choice for those with mild to moderate and severe hearing loss. If you are looking for a pair of hearing aids with all the latest technology, wireless connectivity, amazingly natural sound, one that is rechargeable, and access to Belton Remote Care services, then the Belton Amaze is your best option. It is a complete hearing care solution with innovative features and clear, full and richer sound. It gives amazingly natural sounds thanks to its faster processing power and extended bandwidth. You can even hear the birds sing and your granddaughter laughing with these hearings aids. It comes with New Impulse Noise Reduction feature which filters out loud unwanted sounds and allows in the pleasant sounds that you want to listen to. It is amazingly connected wirelessly to any iPhone device. You can stream music, movies, and phone calls from your smartphone and still retain the sound quality. The hearing aids can also be controlled via your smartphone. You can adjust volume, check battery status, or choose a setting you prefer with just a few taps on your smartphone screen. Personalized Belton Remote Care service. The hearing aids give you access to Belton Remote Care which keeps you in close communication with a Belton hearing care professional via the HearMax App. You can easily request assistance from your healthcare professional via the app with just a single tap on your smartphone screen. It is like having a dedicated audiologist with you all the time. The hearing aid’s service limits you to Belton for everything you need. You can’t service it elsewhere which could be a problem if you are traveling outside the country. The TruHearing range of hearing aids is made to suit the hearing needs of people with diverse lifestyles. They are small hearing aids with powerful and clear sounds for your listening pleasure. The hearing devices come with a host of features to provide you with the best noise-canceling and high-quality sound. You can count on this brand for the hearing aids to use in different noise environments. The hearing aids come in a wide range of styles and placements. The hearing aids come with smartphone compatibility. They are water resistant which provides extra protection against sweat and moisture. They have a small nearly invisible design. The hearing aids are designed to comfortably fit inside your ear canal. You need to take a hearing test at their site to use the hearing aids. Livio AI is the world’s first hearing aids to come with artificial intelligence and integrated sensors. It provides superior sound quality and can even track your body and brain health. By redefining how hearing aids are supposed to function, Livio AI is a complete revolution in hearing aid technology. It even works comfortably in the most challenging environments. 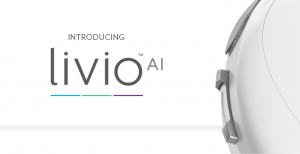 Livio Artificial Intelligence is designed for anyone with a mild, moderate, or severe hearing loss problem. It is a great option for those who want hearing aids with all the technological bells and whistles regardless of price. For instance, this is a good option if you want integrated sensors and artificial intelligence in your pair of hearing aids. Comes with integrated sensors and artificial intelligence to give you unrivaled performance. It gives you comfortable hearing even in the most challenging environments. It is comfortable to use in environments with loud sounds and extremely quiet in less noisy settings to give you enhanced speech clarity. It comes with Thrive App connectivity which allows you to adjust settings and volume via your smartphone on the go. The new technology gives you improved wireless streaming via your smartphone or other wireless accessories when streaming calls, music, and movies. Comes with GPS feature that detects your location to give you a geotagged memory. For example, the home memory automatically activates settings for your home environment when you arrive home. The Thrive App allows you to make customized settings and adjustment according to your personal preferences. It is made of Surface NanoShield which repels water, wax, and moisture to protect the device and make it even more durable. It features Advanced Multiflex Tinnitus Technology that brings the much-needed relief to users who suffer from persistent ringing in the ears. Livio AI hearing aids have some of the best high-end features but their prices are a bit high for the average user. It can only be serviced by the provider which makes maintenance a bit expensive and restricting. We hope that you find their products to be as great as we did. We know they can help you or your loved ones that may have problems with hearing. Thank you for taking the time to read this post and for shoring your continued support to us at Best Hearing Aid Reviews.